California wildlife officials voted on Wednesday to protect gray wolves as an endangered species in the state. The Fish and Game Commission approved the listing under California’s Endangered Species Act against the recommendations of the department’s staff. While no wolves are known to be in California currently, the state was thrust into the debate when a lone, radio-collared wolf known as OR7 wandered across the Oregon-California border in 2011, becoming California’s first wolf since the 1920s. OR7 has since returned to Oregon and earlier this year was spotted with a possible mate. Just as public testimony ramped up at the commission meeting on Wednesday, the U.S. 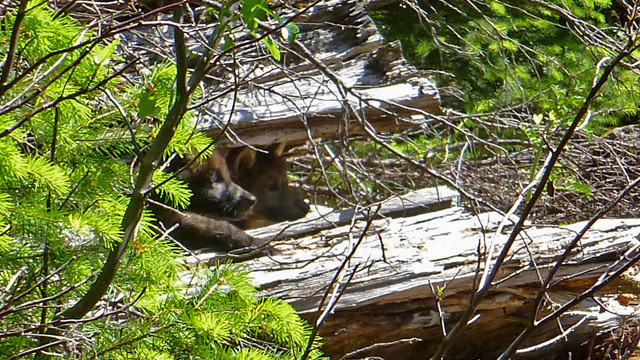 Fish and Wildlife Service confirmed that OR7 and a mate have produced at least two pups in southwest Oregon, the first litter observed since wolves returned to that area. The new pack raises the odds that wolves will expand into California. The debate centered around whether a species that’s recovering in neighboring states and isn’t currently found in California is eligible for protection under state law. Several commissioners rejected that argument. Staff at the California Department of Fish and Wildlife had recommended that wolves not be listed as endangered. They argued that, given existing scientific information on wolves in California, listing wasn’t warranted based on current threats. Instead, they recommended wolves be designated as a “species of special concern” and that the commissioners use existing authority to prohibit killing or “taking” of wolves in the state. The department is also working on developing a California Wolf Plan with a range of stakeholders. The plan, expected to be finalized by the end of the year, will include recommendations on how to manage wolves and potential human conflicts. Gray wolves are protected under the federal Endangered Species Act, but the Obama Administration has proposed removing protections for wolves in the lower 48 states.